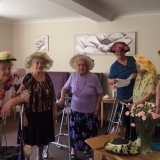 Quality of life is the focus at Springhill Care. 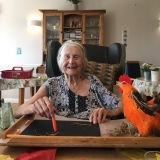 Our award winning residential care homes are warm and welcoming; each with its own homely surroundings where our team support people to achieve their aspirations. Our aim is to support people to be the best they can be. We are proud to offer purpose-built care homes with state of the art facilities combined with award winning person-centred care and support. We provide a wide range of award winning specialist person-centred care for adults and older people with a wide range of needs. These care services include nursing care, specialist dementia care, respite and day care services, specialist end of life care, and specialist care for people with complex healthcare needs.